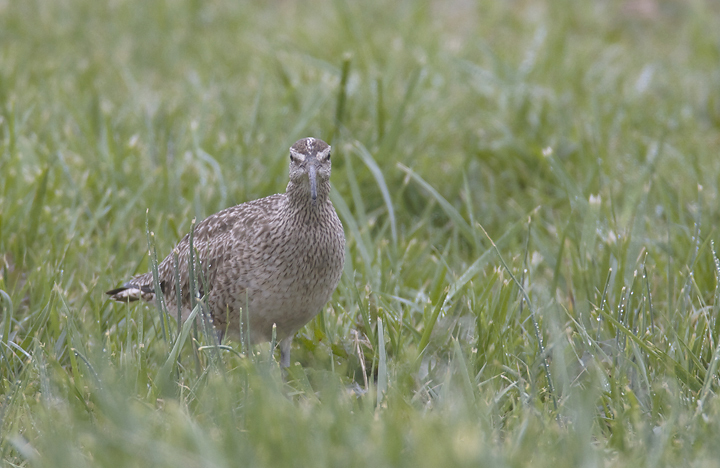 A couple great birds in the rain on the Eastern Shore of Maryland. 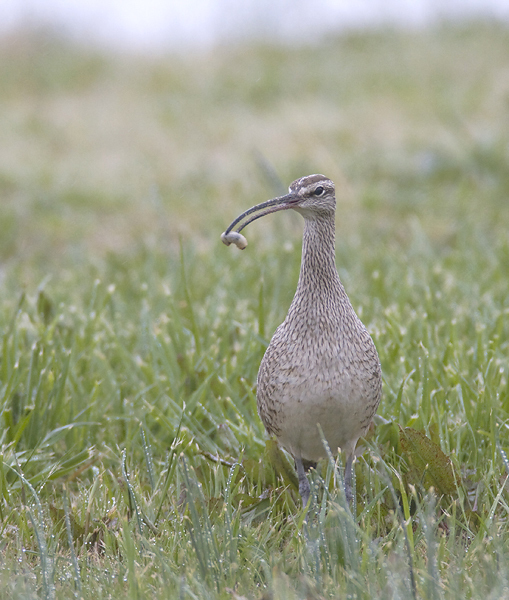 Last updated: 4/7/2008. 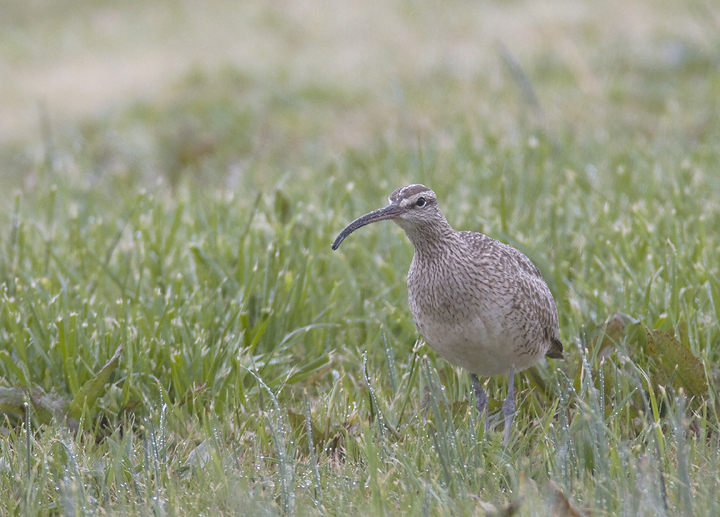 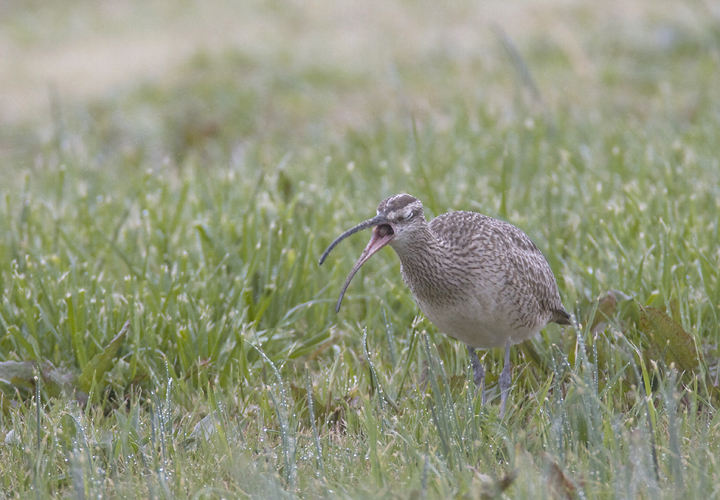 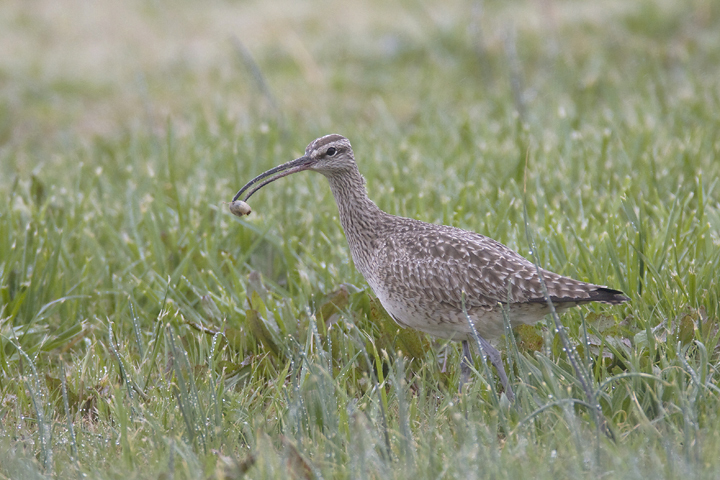 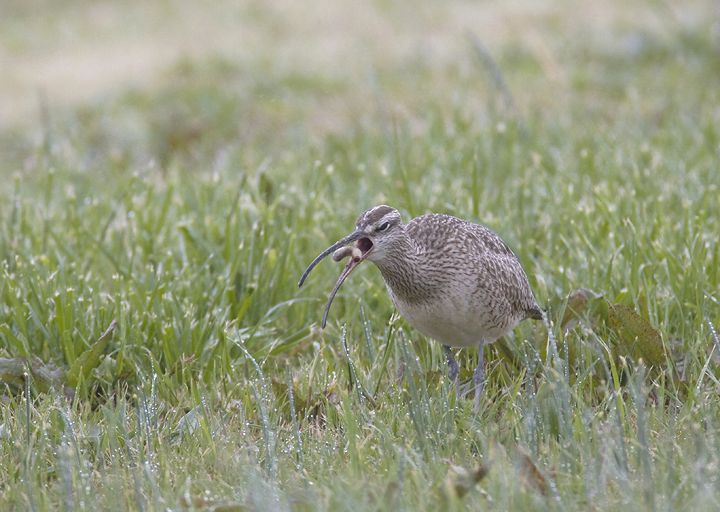 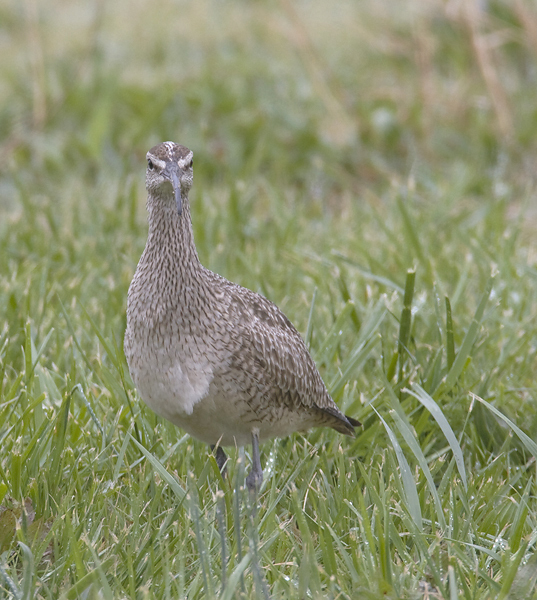 Above and below: This migrant Whimbrel made a stopover at the Chance Inlet in Somerset Co., Maryland (4/6/2008). 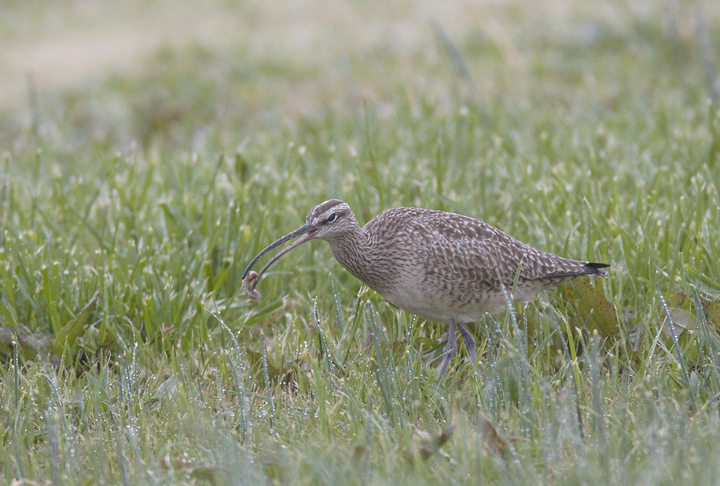 We watched it forage in a grassy area beside the Bay, probing deeply in the grass to retrieve many small snails and grubs. 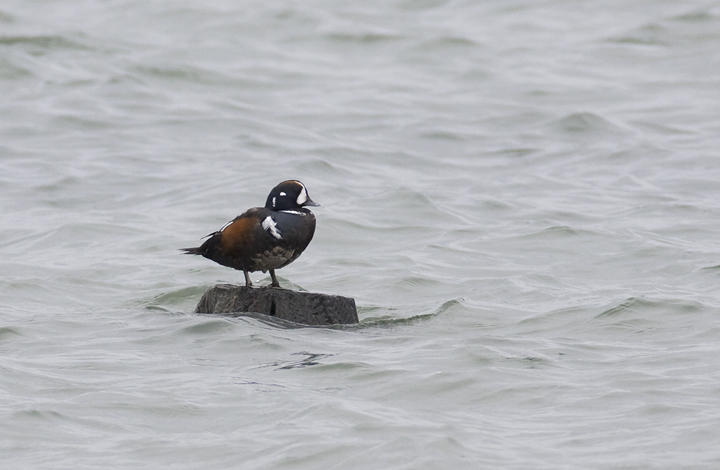 Below: An adult male Harlequin Duck was our best find in the Ocean City area after searching unsuccessfully for a White-faced Ibis (4/6/2008).